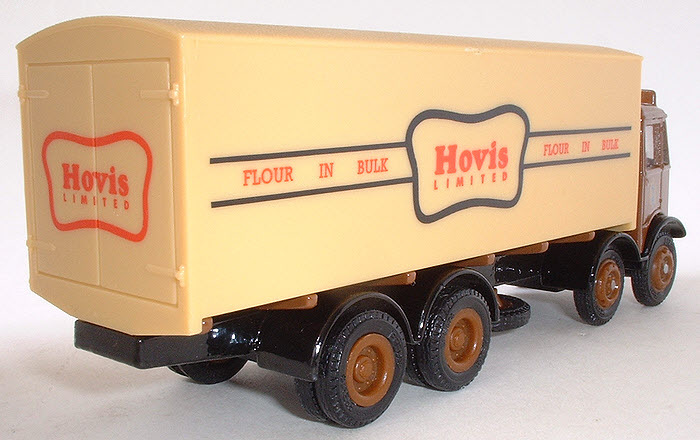 Slogans "Flour In Bulk - Hovis Limited - Flour In Bulk" on sides of box van with "Hovis Limited" on front and rear. 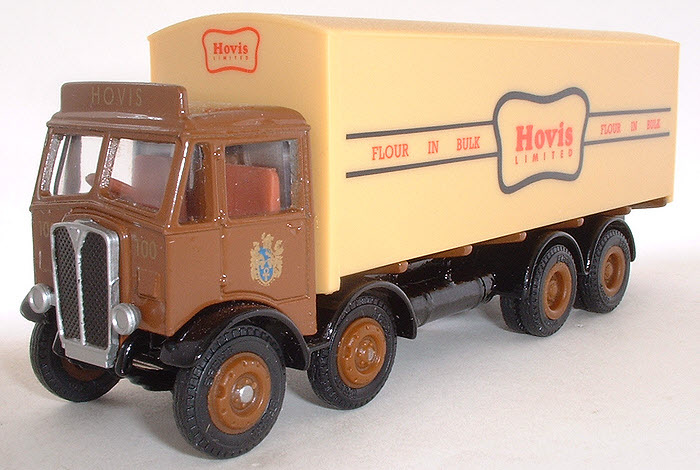 "Hovis" on cab header board and gold crests on cab doors. Livery Brown cab with black chassis and beige box body. Notes Part of Hovis Story Gift Set 19902 with models 10904 and 10106. A re-worked De-luxe Series version of this model was also produced 11004DL..